Many of us with allergies are extremely miserable around this time. Though sometimes the cause of our sneeze attacks is literally planted right next to our front door or in our window seals. 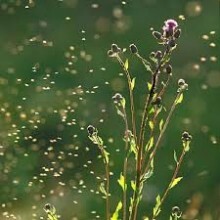 The actual allergy to pollen is called hay fever, which is caused when pollen is dispersed through the air. 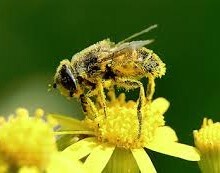 Because pollen is fine, it can be carried for great distances through the air current. It also is easily inhaled as it comes in contact with your nose, mouth and nasal passages.If you have a pollen allergy, you may be affected by pollen in different allergy seasons from different type of plants. Spring blooming plants include oak, birch, hickory, pecan, and even some grasses produce pollen. If you suffer from pollen allergies in the late summer and fall, then most likely you are affected by ragweed. For those of us that have asthma or other health problems that can be easily upset my pollen, be sure to keep your inhaler or over the counter allergy medicine near by.